What’s needed for indoor wayfinding? In the last couple of decades navigation using GNSS (Global Navigation Satellite System) has been widely adopted as a means for navigation using handheld mobile devices or in built in receivers in vehicles. Recently the ability to use a navigation system for finding your way has expanded to the indoor environment. Popular indoor positioning techniques use relatively inexpensive bluetooth beacons (many startups or multinationals like Apple are using this technology), fingerprinting with the already in place WiFi network (Thesis Rob Braggaar) or even the geomagnetic field. However, being able to navigate through a building requires more than knowing your location in the building, an accurate and up-to-date 3D model of the interior of the building should be in place as well to navigate through. Schiphol has been an early adopter of indoor navigation. Their entire indoor space is mapped by companies like NavVis in a way that shortest route calculations can be applied to it. Unfortunately, most organisations do not have an accurate and up-to-date digital representation of their indoor space. 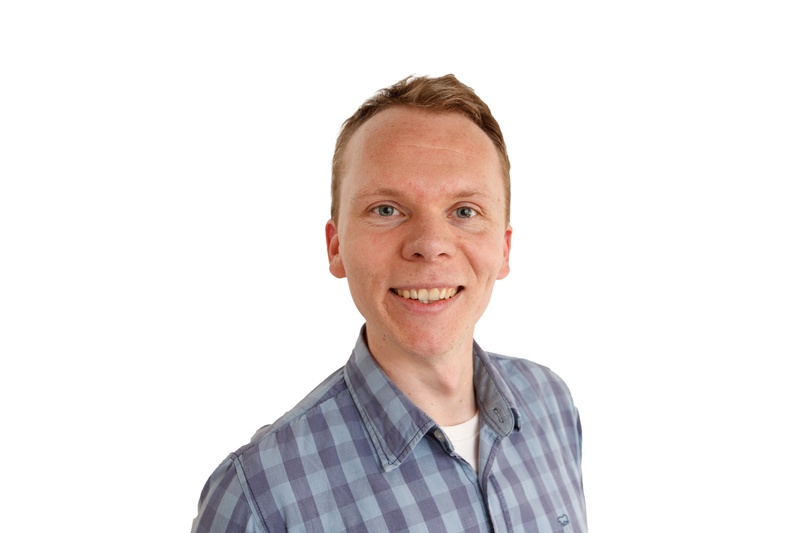 For these organisations Florian, Tom and Ivo have done some research at the Delft University of Technology (AGILE conference paper, Semantic enrichment paper). Their goal was to create navigable models out of indoor point clouds. Indoor point clouds can be collected using handheld scanning devices or trolleys. Unlike stationary scanners, handheld scanners are able to capture point clouds on walking speed. With this speed point clouds can be frequently updated to keep the building data up-to-date. The resulting point cloud is fed to an completely automated workflow that indexes the points and finds the navigable, thus free and empty space. This space can be used directly to navigate on, using a modified routing algorithm, or it can output a 3D graph model of the indoor environment. Florian even used the resulting data structure to semantically improve the model with the aim to improve the wayfinding graph. Next to having indoor navigation, the point cloud data that’s being collected contains a wealth of information about the buildings interior that surpasses traditional 2D floor plans. This data has a value in its own. It can be used not only for indoor wayfinding, but also for other information products. It will also create a basis for close cooperation with universities that are always looking for data to perform their latest research on. Having connections to universities on this level will really allow cutting edge knowledge to flow into Tensing. Theoretically the model can also be further improved to automatically create Building Information Models (BIM). That's what we call information innovation. 04-04-2018 Navigatie tot aan de drempel? 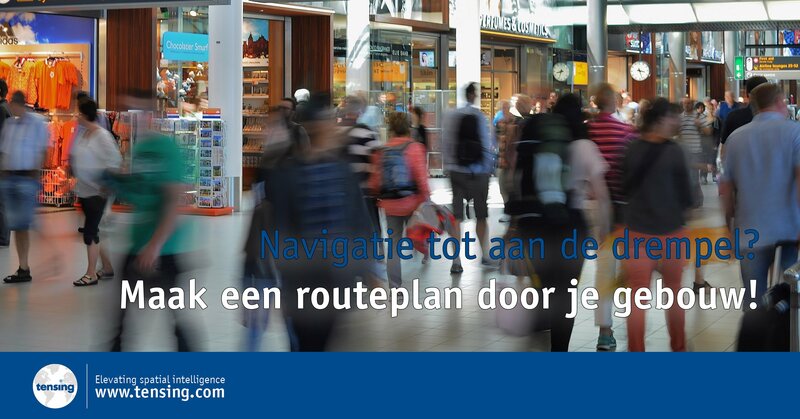 Ga verder en maak een routeplan door je gebouw!